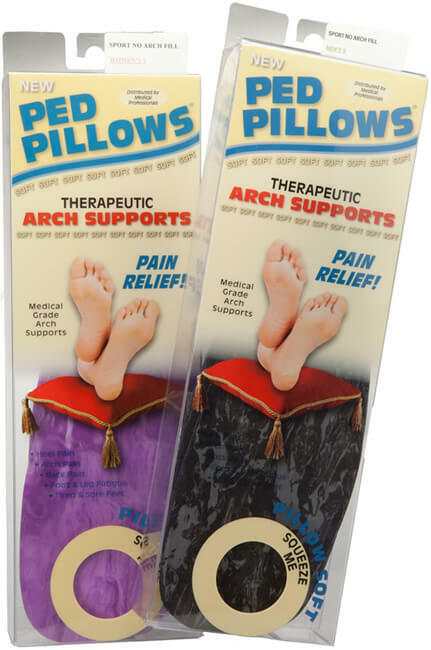 Pre-Fabs: Ped Pillows™ | Marathon Orthotics, Inc.
Ped Pillows™ are medical-grade, prefabricated orthotics hand-crafted in the U.S.A. Unlike many of our competitor’s prefabricated orthotics, Ped Pillows™ are produced in our custom orthotic laboratory by our lab technicians. 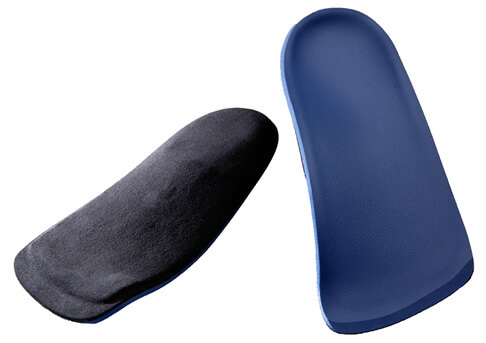 Ped Pillows™ are made with the same unique materials that are used in our custom orthotics. A thin, Polypropylene shell is sandwiched between two layers of extremely soft cushion to provide excellent support and shock absorption. Why send your patients elsewhere? Carrying Ped Pillows™ benefits both you and your patients. Now you can provide your patients with a cost-effective alternative to custom orthotics right in the comfort of your own office. 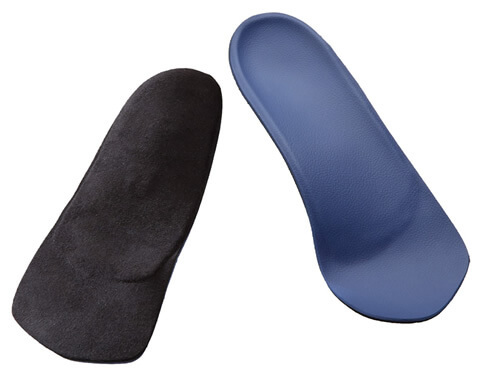 Patients who cannot afford the out-of-pocket expense for custom orthotics. Providing an immediate, temporary fix until custom orthotics arrive. Fixing mild foot problems, as they can be dipped out on the bottom for mild met head relief. 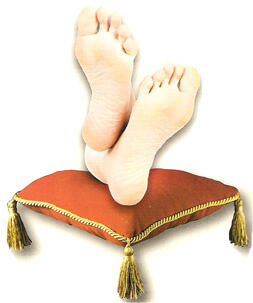 Ped Pillows™ are only distributed to medical professionals. Rather than sending your patient to a drug or shoe store for an over-the-counter insert, you can help the patient select an appropriate device in your office. With a purchase of 20 pairs or more of Ped Pillows™ in any style or combination of styles, we will give you a free display for your office. The display stands 33”X12” and fits comfortably on a standard table top. The white grid holds up to 18 pairs of Ped Pillows™ on one side. If for any reason Ped Pillows™ do not meet your expectations, the remaining unused stock can be returned for credit at any time. We also offer a 30-day guarantee for your patients. Any unused Ped Pillows™ returned to you within 30-days of purchase may be returned to us for full credit. You can also contact our office or download the order form and fax or email us your order.